A Marty Schottenheimer personal appearance, Marty Schottenheimer speaking engagement, or Marty Schottenheimer endorsement will reflect well on your company. To hire Marty Schottenheimer now for any corporate appearance, fundraiser, motivational speaker event, personal appearance, autograph signing, or website endorsement please contact our celebrity agents at 1-877-6-SPORTS. We will contact Marty Schottenheimer or contact Marty Schottenheimer's agent and provide you with the booking fees and availability immediately upon your request. Direct Sportslink is the only sports speakers bureau and talent booking agency based in the United States securing only sports talent for corporations, associations, and organizations for motivational speaking engagements, personal appearances, and endorsements. We are the premier sports celebrity booking agency and a sports celebrity procurement expert. Accordingly, we will provide you with any relevant Marty Schottenheimer website information and booking agent details so that you can hire Marty Schottenheimer for your next event. Marty Schottenheimer is a former NFL head coach with the Cleveland Browns, Kansas City Chiefs, Washington Redskins, and San Diego Chargers. After college, Schottenheimer, a linebacker, was selected in the fourth round of the 1965 NFL Draft by the Baltimore Colts and in the seventh round of the 1965 American Football League draft by the Buffalo Bills. He signed with the Bills and spent the next four (1965, 1966, 1967, and 1968) seasons with Buffalo, including the Bills' 1965 AFL Championship season, when he was selected to the AFL All-Star Team. In 1969, he joined the Boston Patriots and spent the next two seasons with the Pats. He was traded to the Pittsburgh Steelers in 1971 but was traded again to the Colts before the beginning of the 1971 season. 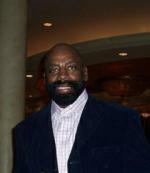 He retired from football in 1971 and spent the next several years working in the real estate industry. Schottenheimer credits his NFL career as being his inspiration for coaching. Schottenheimer's professional coaching career began in 1974 when he became linebackers coach for the Portland Storm of the World Football League. 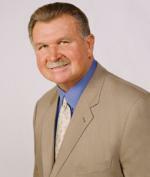 In 1975 he was hired as a linebackers coach for the NFL's New York Giants and in 1977 became defensive coordinator. Schottenheimer spent 1978 and 1979 as the linebackers coach for the NFL's Detroit Lions. In 1980, he was hired as the defensive coordinator for the Cleveland Browns. Schottenheimer became Cleveland's head coach midway through the 1984 season, replacing fired head coach Sam Rutigliano. Schottenheimer would remain with the Browns until 1988, amassing 44-27 (.620) regular-season record and a 2-4 (.333) mark in the playoffs, including four playoff appearances, three AFC Central Division titles, and two trips to the AFC Championship Game. Schottenheimer spent 10 seasons as head coach of the Kansas City Chiefs from 1989 to 1998 recording an impressive 101-58-1 regular season record (.634) including three division titles, seven playoff appearances, and a trip to the AFC Championship game in 1993, losing to the Buffalo Bills. After a disappointing 7-9 season in 1998, Schottenheimer resigned as Chiefs head coach. After working as a football analyst for ESPN from 1999 to 2000, Schottenheimer was hired as head coach of the Washington Redskins for the 2001 season. 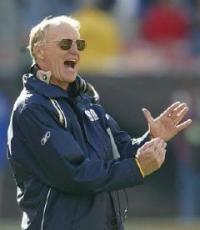 In 2002, the San Diego Chargers hired Schottenheimer as their 13th head coach. Schottenheimer posted a 47-33 record (.588) with the Chargers. His success didn't come immediately, as the team posted a 4-12 record in 2003, thereby "earning" the first overall pick in the draft. He was named NFL Coach Of The Year for the 2004 NFL season. Schottenheimer led the team to 2 playoff appearances, his 17th and 18th as a head coach. However, both appearances resulted in disappointing losses to the underdog New York Jets in overtime in 2005 and the New England Patriots in 2007, bringing his playoff record to 5-13. Schottenheimer was fired by San Diego but soon after being replaced, he was hired by ESPN to work as an NFL Insider on the station, returning to a role he had served in between his coaching stints with the Washington Redskins and the San Diego Chargers. He ha been seen on SportsCenter and NFL Live. Based on your interest in Marty Schottenheimer as a speaker or for a personal appearance, Direct Sportslink has provided you additional links below for other sports talent with similar appearance fees, speaker topics, and categories that match Marty Schottenheimer.